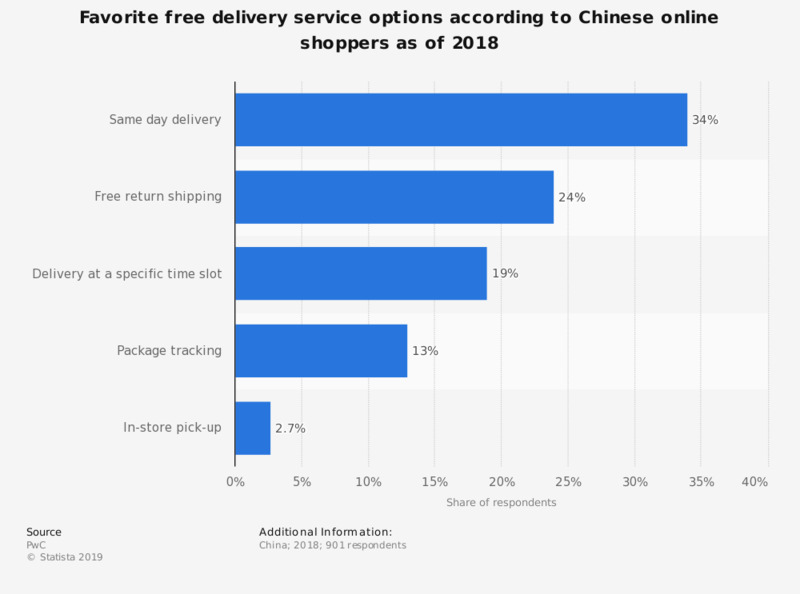 This survey displays the results of a survey conducted in 2018 about the shopping attitude of consumers in China regarding delivery service options with no extra cost. In the period measured, about 34 percent of the respondents regarded same day delivery as the most valuable option. Original Question: "Retailers may offer various options for how you receive your goods. Which of the following services are the most attractive to you if offered at no extra cost?"